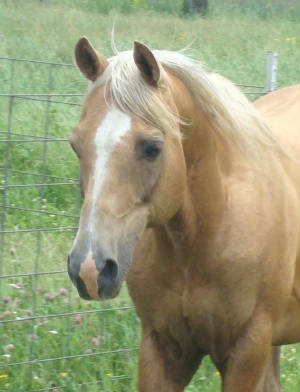 Pines Frere Jacque: 1992 palomino AQHA stallion. Jackson was sired by Hollywood Jac 86 and is out of a Great Pine daughter. 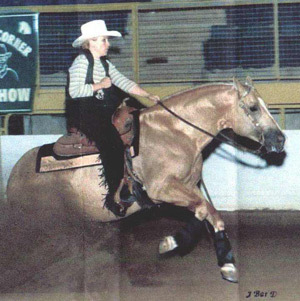 He has earned both Amatuer and Open ROMs in Reining and is an NRHA money earner. 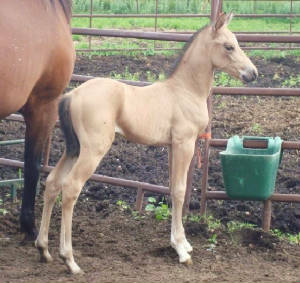 He has sired AQHA point earners and his foals are known for their good dispositions. Update: 6/6/13 Jackson is sold and will be making his new home in Arkansas. Congrats to the Mobleys! 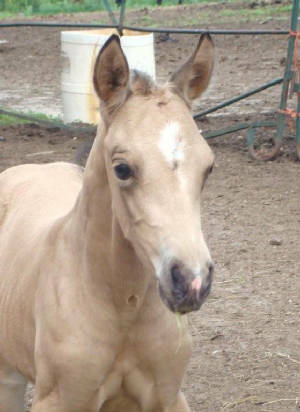 2011 colt: Our only foal of the year, sired by Jackson and out of AQHA mare Bill's Schnapps. 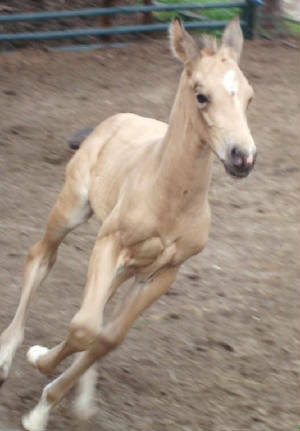 Pictured at 6 days old. Correct, friendly and athletic! 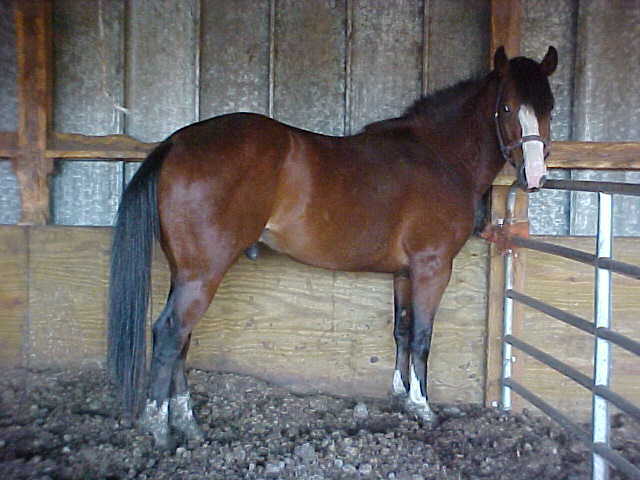 We are very sad to say that Barney was euthanized on October 11th, 2007. The farm isn't the same without him. We cherish the time we had with him. He was the best old boy and it was an honor to have him with us for the years we did. Impressive Bar One: (5/25/1983-10/11/2007). 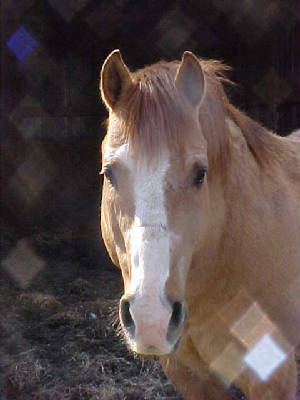 Red dun AQHA stallion. "Barney" is our senior stallion and we have been very happy with every foal we've had by him. He is an HYPP N/N grandson of Impressive. He is a big bodied boy standing 15+ hands with a pretty head and small ears. Excellent disposition.